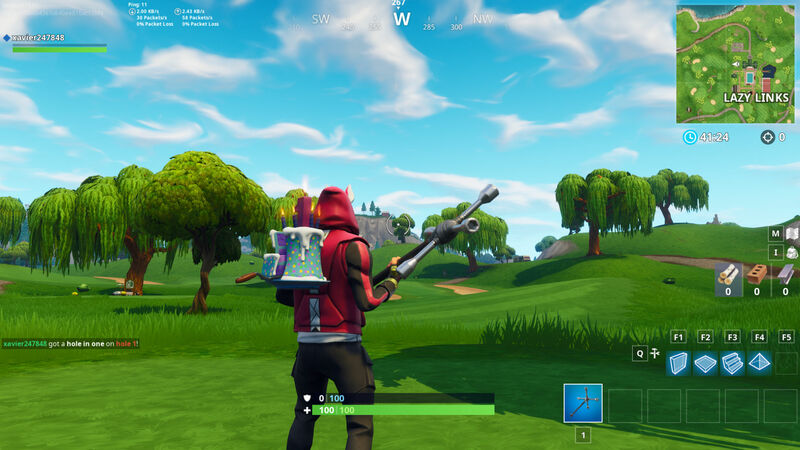 Where do you hit a golf ball from tee to green on different holes in Fortnite? For this week’s set of challenges we hope, for your sake, that you’re not in the camp of folk that believe golf is a good walk spoiled. We’re not sure what they’re complaining about, anyway, they’ve never had to play a round with a battle royale scrap going on all around them. There’s only one area in which you can hit a golf ball from tee to green on different holes: the luxurious resort of Lazy Links. 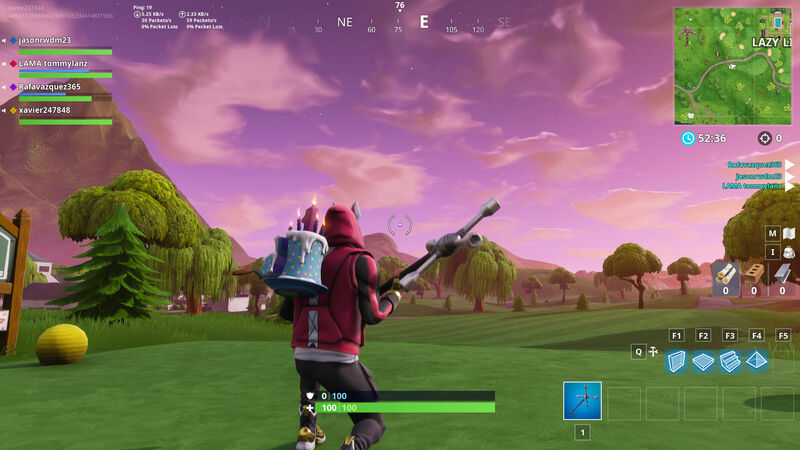 Added to the game for season 5, this northern area boasts tennis courts, a spacious pool, and, most importantly, a beautiful golf course. 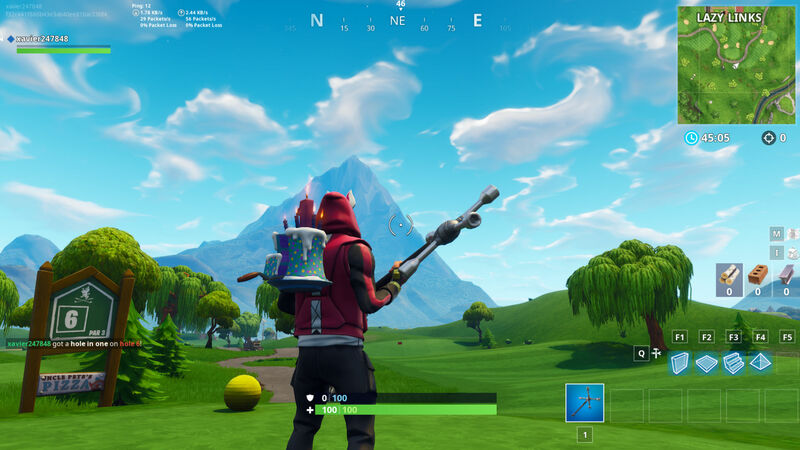 First, though, you’re going to need to have the battle pass to complete this challenge: this is not one of the three free weekly challenges and you need to be tier 27, the point at which you unlock the golf ball. 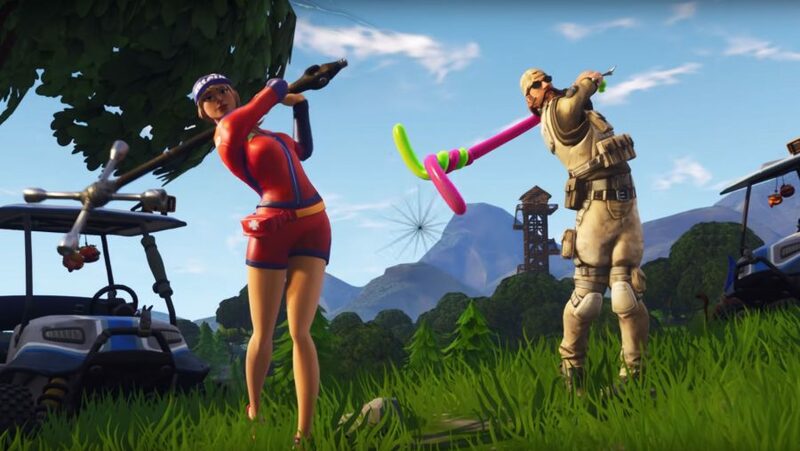 Once you’ve done that, you’ve got some swinging practice with your harvesting tool to do: the Fortnite week 5 challenges are live now. Also, don’t miss out on even more battle stars with our Fortnite Snobby Shores treasure map guide. But, before we get to that, here’s where to hit a golf ball from tee to green on different holes. 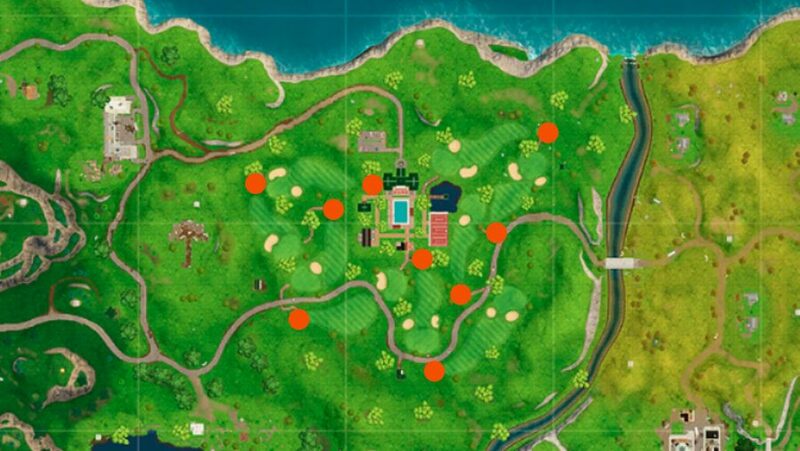 On the map above you can see each of the 9 different holes in which you need to get on the green in Lazy Links to the north of the island. 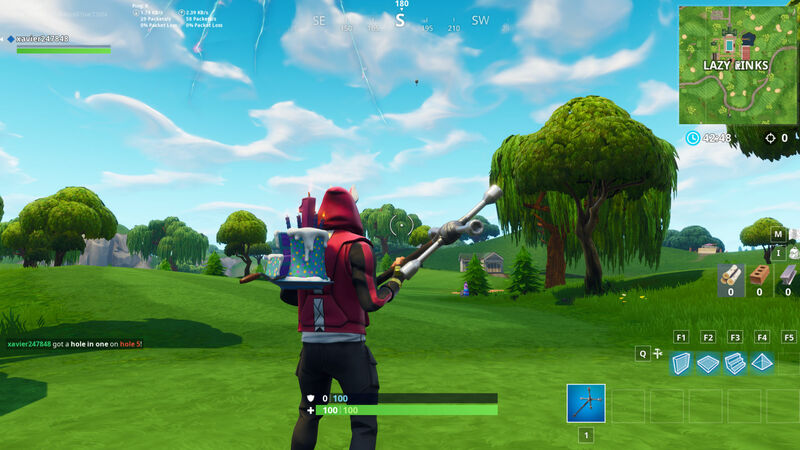 You only need to do five, though, so below we have screenshots of us getting onto the green on holes 1, 6, 5, 9 (in that order). In each screenshot we have our crosshairs set precisely to where you should aim to get onto each green. 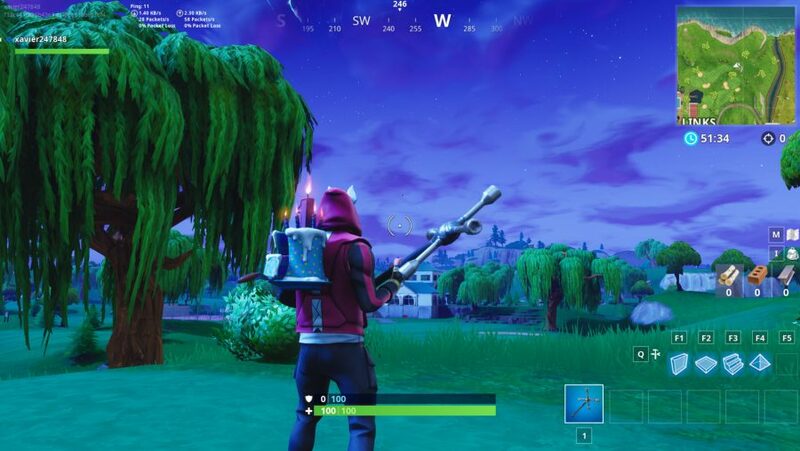 Once you’ve done this on five different holes, those five battle stars are all yours.